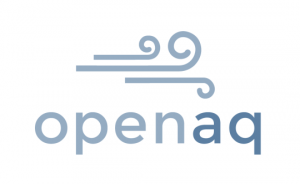 hackAIR is an open technology platform that can be used to access, collect and improve air quality information in Europe. 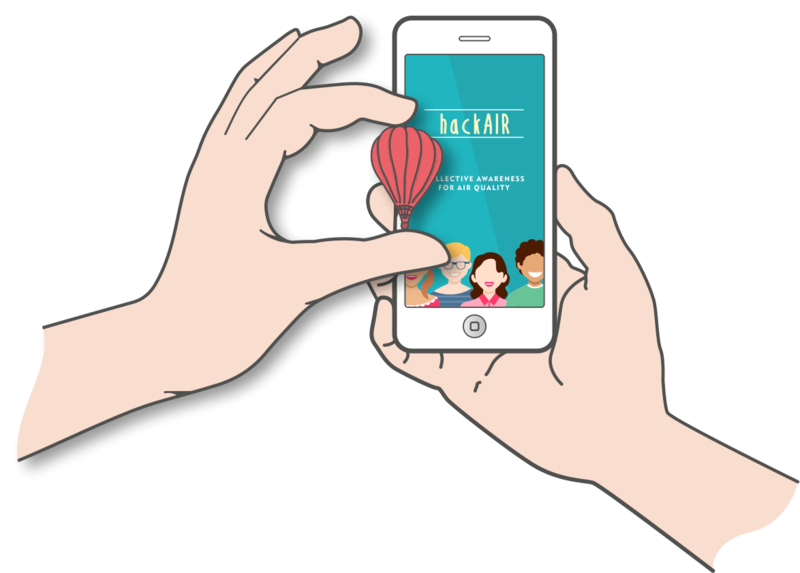 It was supported through the EU programme on “Collective Awareness Platforms for Sustainability and Social Innovation” from January 2016 to December 2018.
hackAIR aims to raise collective awareness about the daily levels of human exposure to air pollution. It enables citizens and organisations to easily engage in generating and publishing information relevant to outdoor air pollution, raising collective awareness about the daily levels of human exposure to air pollution. hackAIR provides citizens with improved information about air pollution levels where they live. This is useful for people who like to exercise outside, look after children or the elderly or suffer from respiratory problems. It also allows for a conversation in the local community about possible improvements in air quality. 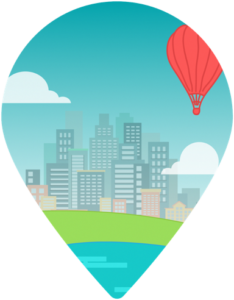 hackAIR works in collaboration with other initiatives to improve the accessibility and availability of air quality information for citizens. Air pollution is an environmental issue with serious health and lifespan implications. However, it remains difficult for citizens to assess their exposure to air pollution and air quality issues in their country. The gaps between official air quality sensors are sometimes significant, coverage is poor outside cities, and their data is not always easily accessible. “Air pollution is the single environmental issue Europeans worry about the most, and many do not feel sufficiently informed about air quality issues in their country. hackAIR enables communities of citizens to easily engage their members in generating and publishing information relevant to outdoor air pollution, leveraging the power of citizen science, online social networks, mobile and open hardware technologies, and engagement strategies. hackAIR complements official data with community-driven data sources, for collecting, analysing and sharing air quality measurements to community members through low-cost open hardware sensors easily assembled by citizens, web and/or mobile phones. 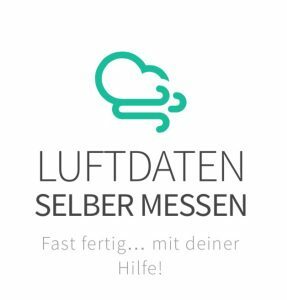 The hackAIR platform is composed of a website and a complementary mobile application that provides citizens with improved information about air pollution levels where they live. Easy engagement and participation in monitoring atmospheric PM. Receiving personalised recommendations on actions that they can perform as individual members. Receiving real-time information on the current status of air quality. Participating in a community of like-minded users who are concerned about the effects of air pollution. Citizens (e.g. elderly, parents of small children, outdoor sport enthusiasts, conservationists) and app/service developers. Can submit data through the hackAIR platform. Open source community and operators of personal weather stations. Can build an air quality monitoring station. Organisations, environmental organizations, health associations, makerspaces, educational organizations. Can organise local hackAIR workshops to build awareness. Scientific community (universities, research institutes, NGOs, independent researchers). Can use data to gain insights on air quality patterns; use hackAIR platform and communication channels for dialogue. Enterprises interested in hackAIR products and services for other health related apps, etc. Can use products and services created by hackAIR. Local government and transport-related agencies. Can use data to inform public policy.